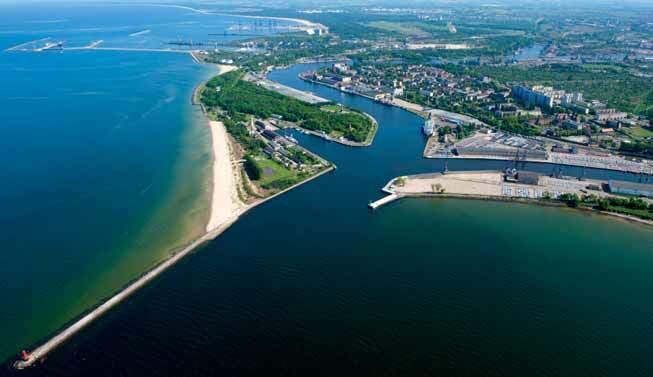 Port of Gdansk Authority SA, one of the most rapidly developing ports in the Baltic Sea, has begun the privatization of Port of Gdansk Cargo Logistics SA (Port Gdanski Eksploatacja SA, a joint stock company under Polish Law), its largest multipurpose cargo handling operator. The Port of Gdansk is Poland’s largest port designated by the European Union as the core port of the TEN-T Baltic Adriatic Corridor no.1. With 30.3 million tonnes of cargo handled in 2013, a record in the port’s 1,000-year long history, it ranked seventh in the Baltic Sea and second in terms of the number of containers handled. Another stage of the Port of Gdansk’s intense development is a decision to sell a block of shares in Port of Gdansk Cargo Logistics SA, a stevedoring company that provides cargo handling and storage services for goods delivered by sea, road and rail, to one of the largest seaports of Central and Eastern Europe. Port of Gdansk Cargo Logistics SA is a port operator focused mainly on handling general cargo, including containerized and bulk cargo, that pursues its business on over 90ha of the Port of Gdansk’s attractively located plots. The purchase of a block of almost 100% of shares in Port of Gdansk Cargo Logistics SA (99.1% of shares belong to Port of Gdansk Authority SA and the outstanding 0.09% is subject to compulsory buyout) is currently one of the most interesting investment options on the maritime market in Central and Eastern Europe. Gdansk as the largest port located in Poland, is a commercial centre that in 2013 handled in its terminals and quays the cargo worth of roughly EUR 40 billion, which accounts for 50% of Poland’s (the sixth largest European market) income. Detailed information on how to join the negotiations procedure for the purchase of shares in Port of Gdansk Cargo Logistics SA can be found on the port’s website. The deadline for sending bids expires on 12 May 2014.